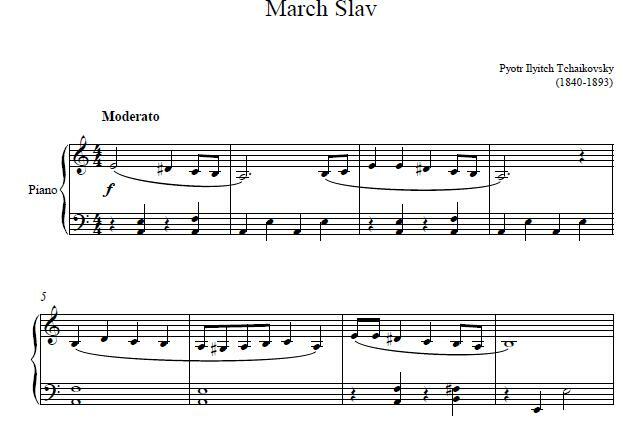 The March Slave or Marche Slave, is an orchestral composition in B-flat minor, Op. 31, by Pyotr Ilyich Tchaikovsky, from 1876. At this time Serbia was at war with the Ottoman Empire, and with Russia openly supporting Serbia, the composer was commissioned by The Russian Musical Society to write for, and perform at, a concert to benefit the Red Cross Society. The overall intention was to entertain the wounded Serbian troops. The piece composed, was published as Slavonic March, although Tchaikovsky himself referred to the composition as his "Russo-Serbian March". Constructed in a chronological order, the composition comprises four parts. The first section describes the Serbian being oppressed. By using the melody of a Russian dance, the second section reflects the Russians coming to aid the Serbian forces. Tchaikovsky uses a furious orchestral climax in the third section as a sign of the Serbians cry for help. Finally, the Russians marching to assist Serbia, is symbolized by the use of a Russian tune in the tonic major key, and includes an edition of the Russian national anthem. In so doing, Tchaikovsky signifies the victory for the Serbian people over dictator. Would you like to play more piano music? 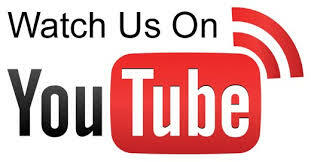 You can access our complete piano sheet music collection featuring classical music, Christian hymns, and many more.